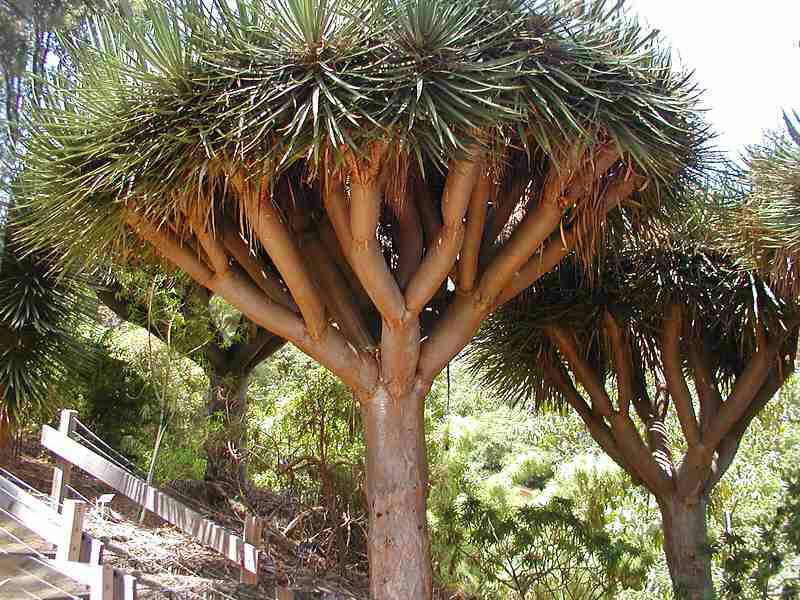 Socotra is a small archipelago of four islands in the Indian Ocean, located some 240 kilometers (150 mi) east the Horn of Africa and 380 kilometers (240 mi) south of the Arabian Peninsula. Comfortable, light, casual clothing. Sleeping bag. Something warm to wear at night in winter and in the high altitudes. Comfortable walking shoes with good grip or sneakers. Protective clothing and sun lotion for the tropical sun. Rainwear clothing. Personal toiletries and any personal medication such as, some headache tablets, some things for digestive upsets, disinfectant, etc. Antiseptic wipes. Film and spare batteries for your camera. Torch/ flashlight with spare batteries. Strap-on water bottle for day hike. Money belt for valuables. 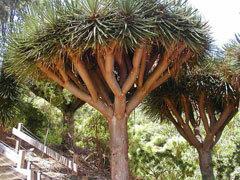 You don't have to take expensive or expensive-looking jewelry to Socotra. While Socotra is not a malaria region, there are some mosquitoes in some places, so a malaria prophylactic is recommended. Cholera is not present on the island at all. Drink only bottled mineral water; it's readily available in Hadibo and Qalansia. Consult your doctor and dentist or travel health clinic for advice and preventive measures. The hospitals on the Island offer less than adequate service. Pharmacies are presented around Hadibo. 220v AC; plugs are generally two-pin and multiple plugs. Telephone lines are available in major town of Hadibo, country code: (+967), followed by a one digit number for an access provider (5). After the international and access codes, number should be six digits including three initial digits for the geographical area (660). The cheapest way to make international phone calls is to use a telephone card and call from booth telephone line or mobile telephone. Telephone cards can be purchased at most shops in the main market. GSM system is not working on the island. Hitherto, only CDMA covers north and west of the island remain in Hadibo, Dixsam plateau, and Qalansia. Internet access is available in few internet shops in Hadibo. (It costs about $3 per hour). 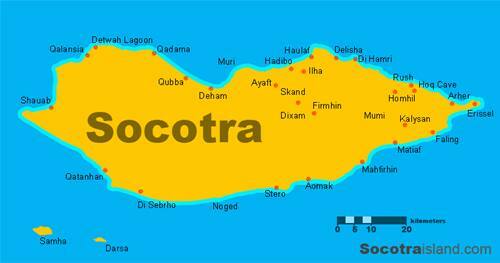 The post office is located at the at the center of the town Hadibo, in Socotra Telephone Central building. Don't import or export any biological material or alien species from or to the Island. Don't collect “souvenirs” from historical and archaeological sites. Don't collect and export shells from the island. Don't collect flora and fauna samples. Don't swim in sea or rivers unless your guide recommends it. Don't feed fish, -it creates dependency-. Don't approach birds and turtles breeding grounds. Don't spoil the natural habitat for plants. Don't fire hew trees (use only brushwood as a fuel for fire). Don't leave or discard any litter. Don't drop your cigarette butts anywhere (dispose of them properly). Don't enter people's residential spaces without invitation. Don't take photos of people and private territories without permission. Don't drink alcoholic beverages in public places. Don't raise your voice or speak loudly inside caves. Don't miss any moment to enjoy the island.